Bituminous coal or black coal is a relatively soft coal containing a tarlike substance called bitumen or asphalt. It is of higher quality than lignite coal but of poorer quality than anthracite. Formation is usually the result of high pressure being exerted on lignite. Its coloration can be black or sometimes dark brown; often there are well-defined bands of bright and dull material within the seams. These distinctive sequences, which are classified according to either "dull, bright-banded" or "bright, dull-banded", is how bituminous coals are stratigraphically identified. Coking is the deposition of carbon-rich solids. In heterogeneous catalysis, the process is undesirable because the clinker blocks the catalytic sites. Coking is characteristic of high temperature reactions involving hydrocarbons feedstocks. Typically coking is reversed by combustion, provided that the catalyst will tolerate such. Petroleum coke, abbreviated coke or petcoke, is a final carbon-rich solid material that derives from oil refining, and is one type of the group of fuels referred to as cokes. Petcoke is the coke that, in particular, derives from a final cracking process—a thermo-based chemical engineering process that splits long chain hydrocarbons of petroleum into shorter chains—that takes place in units termed coker units. Stated succinctly, coke is the "carbonization product of high-boiling hydrocarbon fractions obtained in petroleum processing ." Petcoke is also produced in the production of synthetic crude oil (syncrude) from bitumen extracted from Canada’s oil sands and from Venezuela's Orinoco oil sands. The Yellow River or Huang He is the second longest river in China, after the Yangtze River, and the sixth longest river system in the world at the estimated length of 5,464 km (3,395 mi). Originating in the Bayan Har Mountains in Qinghai province of Western China, it flows through nine provinces, and it empties into the Bohai Sea near the city of Dongying in Shandong province. The Yellow River basin has an east–west extent of about 1,900 kilometers (1,180 mi) and a north–south extent of about 1,100 km (680 mi). Its total drainage area is about 752,546 square kilometers (290,560 sq mi). The Dean of York is the member of the clergy who is responsible for the running of the York Minster cathedral. As well as being the head of the cathedral church of the diocese and the metropolitical church of the province, the Dean of York holds preeminence as the Vicar of the Northern Province. Sir Hugh Plat (1552–1608) was an English writer on agriculture and inventor, known from his works The Jewell House of Art and Nature (1594) and his major work on gardening Floraes Paradise (1608). Abraham Darby, in his later life called Abraham Darby the Elder, now sometimes known for convenience as Abraham Darby I was the first and best known of several men of that name. Born into an English Quaker family that played an important role in the Industrial Revolution, Darby developed a method of producing pig iron in a blast furnace fuelled by coke rather than charcoal. This was a major step forward in the production of iron as a raw material for the Industrial Revolution. In the first years of steam railway locomotives, coke was the normal fuel. This resulted from an early piece of environmental legislation; any proposed locomotive had to "consume its own smoke". This was not technically possible to achieve until the firebox arch came into use, but burning coke, with its low smoke emissions, was considered to meet the requirement. This rule was quietly dropped, and cheaper coal became the normal fuel, as railways gained acceptance among the public. The industrial production of coke from coal is called coking. The coal is baked in an airless kiln, a "coke furnace" or "coking oven" at temperatures as high as 2,000 °C (3,600 °F) but usually around 1,000–1,100 °C (1,800–2,000 °F). This process vaporizes or decomposes organic substances in the coal, driving off volatile products, including water, in the form of coal-gas and coal-tar. The non-volatile residue of the decomposition is mostly carbon, in the form of a hard somewhat glassy solid that cements together the original coal particles and minerals. Steelmaking is the process for producing steel from iron ore and scrap. In steelmaking, impurities such as nitrogen, silicon, phosphorus, sulfur and excess carbon are removed from the sourced iron, and alloying elements such as manganese, nickel, chromium and vanadium are added to produce different grades of steel. Limiting dissolved gases such as nitrogen and oxygen, and entrained impurities in the steel is also important to ensure the quality of the products cast from the liquid steel. Coal gas is a flammable gaseous fuel made from coal and supplied to the user via a piped distribution system. It is produced when coal is heated strongly in the absence of air. Town gas is a more general term referring to manufactured gaseous fuels produced for sale to consumers and municipalities. A reverberatory furnace is a metallurgical or process furnace that isolates the material being processed from contact with the fuel, but not from contact with combustion gases. The term reverberation is used here in a generic sense of rebounding or reflecting, not in the acoustic sense of echoing. A fossil fuel power station is a thermal power station which burns a fossil fuel such as coal, natural gas, or petroleum to produce electricity. Central station fossil fuel power plants are designed on a large scale for continuous operation. In many countries, such plants provide most of the electrical energy used. Fossil fuel power stations have machinery to convert the heat energy of combustion into mechanical energy, which then operates an electrical generator. The prime mover may be a steam turbine, a gas turbine or, in small plants, a reciprocating internal combustion engine. All plants use the energy extracted from expanding gas, either steam or combustion gases. Although different energy conversion methods exist, all thermal power station conversion methods have efficiency limited by the Carnot efficiency and therefore produce waste heat. 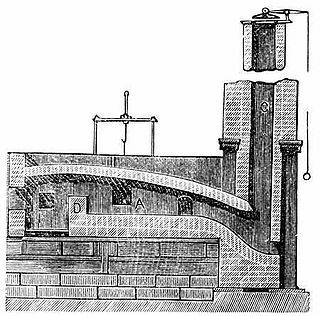 Puddling was one step in one of the most important processes of making the first appreciable volumes of high-grade bar iron during the Industrial Revolution. 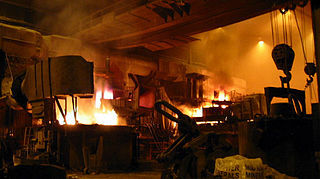 In the original puddling technique, molten iron in a reverberatory furnace was stirred with rods, which were consumed in the process. It was one of the first processes for making bar iron without charcoal in Europe, although much earlier coal-based processes had existed in China. Eventually, the furnace would be used to make small quantities of specialty steels. Blast furnace gas (BFG) is a by-product of blast furnaces that is generated when the iron ore is reduced with coke to metallic iron. It has a very low heating value, about 93 BTU/cubic foot (3.5 MJ/m3), because it consists of about 60 percent nitrogen and 18-20% carbon dioxide, which are not flammable. The rest is mostly carbon monoxide, which has a fairly low heating value already and some (2-4%) hydrogen. It is commonly used as a fuel within the steel works, but it can be used in boilers and power plants equipped to burn it. It may be combined with natural gas or coke oven gas before combustion or a flame support with richer gas or oil is provided to sustain combustion. Particulate matter is removed so that it can be burned more cleanly. 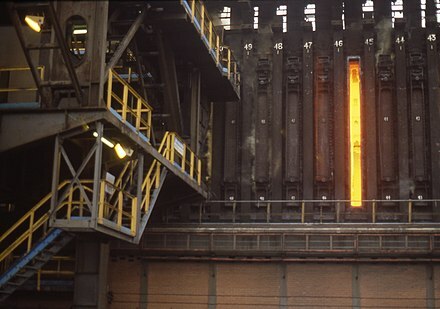 Blast furnace gas is sometimes flared without generating heat or electricity. 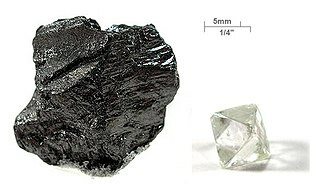 Coal analysis techniques are specific analytical methods designed to measure the particular physical and chemical properties of coals. These methods are used primarily to determine the suitability of coal for coking, power generation or for iron ore smelting in the manufacture of steel. Hot blast refers to the preheating of air blown into a blast furnace or other metallurgical process. As this considerably reduced the fuel consumed, hot blast was one of the most important technologies developed during the Industrial Revolution. Hot blast also allowed higher furnace temperatures, which increased the capacity of furnaces. A beehive oven is a type of oven in use since the Middle Ages in Europe. It gets its name from its domed shape, which resembles that of an old-fashioned beehive. 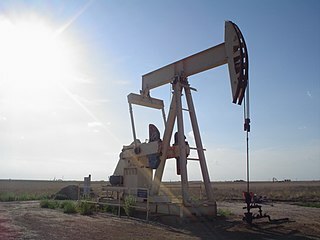 According to the United States Energy Information Administration (EIA), Pakistan may have over 9 billion barrels (1.4×109 cubic metres) of petroleum oil and 105 trillion cubic feet (3.0 trillion cubic metres) in natural gas (including shale gas) reserves. The Pittsburgh Coal Seam is the thickest and most extensive coal bed in the Appalachian Basin; hence, it is the most economically important coal bed in the eastern United States. The Upper Pennsylvanian Pittsburgh coal bed of the Monongahela Group is extensive and continuous, extending over 11,000 mi2 through 53 counties. It extends from Allegany County, Maryland to Belmont County, Ohio and from Allegheny County, Pennsylvania southwest to Putnam County, West Virginia. The Dunlap coke ovens are the remnants of a coke production facility near Dunlap, in the U.S. state of Tennessee. Built in the early 1900s, the facility consists of five batteries of 268 beehive ovens, which operated under various companies until the early 1920s. The ovens are now listed on the National Register of Historic Places, and are maintained by the Sequatchie Valley Historical Society as part of Dunlap Coke Ovens Park. Visakhapatnam Steel Plant, popularly known as Vizag Steel, is an integrated steel producer in Visakhapatnam, India built using German and Soviet technology. The company has grown from a loss-making industry to 3-billion-dollar turnover company registering a growth of 203.6% in just four years. Vizag Steel Plant was conferred Navratna status on 17 November 2010. Founded in 1971, the company focuses on producing value-added steel, with 214,000 tonnes produced in August 2010, out of 252,000 tonnes total of salable steel produced. The Cherry Valley Coke Ovens consisted of 200 coke ovens built by the Leetonia Iron and Coal Company around 1866, near Leetonia, Ohio, United States. The function of the "beehive" coke ovens was to purify coal and turn it into coke. The coke was burned in furnaces that produced iron and steel. ↑ "CCHC—Your Portal to the Past". Coal and Coke Heritage Center. Penn State Fayette, The Eberly Campus. Archived from the original on 23 May 2013. Retrieved 19 March 2013. 1 2 Peckham, Stephen (1880). Special Reports on Petroleum, Coke, and Building Stones. United States Census Office. 10th census. p. 53. ↑ Nersesian, Roy L (2010). "Coal and the Industrial Revolution". Energy for the 21st century (2 ed.). Armonk, NY: Sharpe. p. 98. ISBN 978-0-7656-2413-0. ↑ Cooper, Eileen Mountjoy. "History of Coke". Special Collections & Archives: Coal Dust, the Early Mining Industry of Indiana County. Indiana University of Pennsylvania. Archived from the original on 2015-02-10. ↑ Wittcoff, M.M. Green ; H.A. (2003). Organic chemistry principles and industrial practice (1. ed., 1. reprint. ed.). Weinheim: Wiley-VCH. ISBN 978-3-527-30289-5. 1 2 3 Beaver, S. H. (1951). "Coke Manufacture in Great Britain: A Study in Industrial Geography". Transactions and Papers (Institute of British Geographers). The Royal Geographical Society (with the Institute of British Geographers (17): 133–48. doi:10.2307/621295. JSTOR 621295. ↑ DiCiccio, Carmen. Coal and Coke in Pennsylvania. Harrisburg, PA: Pennsylvania Historical and Museum Commission. ↑ A subsidiary of the Buffalo, Rochester and Pittsburgh Railway. ↑ Eavenson, Howard N. (1942). The First Century and a Quarter of American Coal Industry. Pittsburgh, PA: Waverly Press. ↑ Warren, Kenneth (2001). Wealth, Waste, and Alienation: Growth and Decline in the Connellsville Coke Industry. Pittsburgh, PA: University of Pittsburgh. 1 2 Martin, Scott C. Killing Time: Leisure and Culture in Southwestern Pennsylvania, 1800–1850. Pittsburgh, PA: University of Pittsburgh Press. ↑ "Coal and Steel". World Coal Association. 2015-04-28. Archived from the original on 2012-03-14. ↑ "Cokemaking: The SunCoke Way". Archived from the original on 2016-06-03. ↑ "Coal Grades" Archived 1 February 2016 at the Wayback Machine ,"Ministry of Coal"
↑ "Manufacture of Coke at Salem No. 1 Mine Coke Works". Pathoftheoldminer. Archived from the original on 2013-07-03. ↑ "Coke Ovens". The Friends of the Cumberland Trail. Archived from the original on 2012-06-25. ↑ "CDC – NIOSH Pocket Guide to Chemical Hazards – Coke oven emissions". www.cdc.gov. Archived from the original on 2015-11-23. Retrieved 2015-11-27. ↑ Chisholm, Hugh, ed. (1911). "Coke" . Encyclopædia Britannica . 6 (11th ed.). Cambridge University Press. p. 657. ↑ The Scotch Malt Whisky Society: Highland Park: Where the peat still reeks in the old way "The Scotch Malt Whisky Society - USA". Archived from the original on 2011-07-16. Retrieved 2011-02-22. ↑ "Cutting-Edge Solutions For Coking Wastewater Reuse To Meet The Standard Of Circulation Cooling Systems". www.wateronline.com. Archived from the original on 2016-08-15. Retrieved 2016-01-16. ↑ Jin, Xuewen; Li, Enchao; Lu, Shuguang; Qiu, Zhaofu; Sui, Qian (2013-08-01). "Coking wastewater treatment for industrial reuse purpose: Combining biological processes with ultrafiltration, nanofiltration and reverse osmosis". Journal of Environmental Sciences. 25 (8): 1565–74. doi:10.1016/S1001-0742(12)60212-5. ↑ Güçlü, Dünyamin; Şirin, Nazan; Şahinkaya, Serkan; Sevimli, Mehmet Faik (2013-07-01). "Advanced treatment of coking wastewater by conventional and modified fenton processes". Environmental Progress & Sustainable Energy. 32 (2): 176–80. doi:10.1002/ep.10626. ISSN 1944-7450. 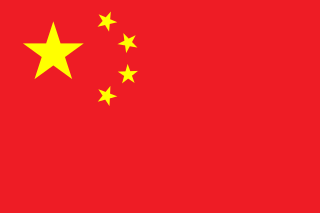 ↑ Wei, Qing; Qiao, Shufeng; Sun, Baochang; Zou, Haikui; Chen, Jianfeng; Shao, Lei (2015-10-29). "Study on the treatment of simulated coking wastewater by O3 and O3/Fenton processes in a rotating packed bed". RSC Advances. 5 (113): 93386–93393. doi:10.1039/C5RA14198B. ↑ Lu, Y; Yan, L; Wang, Y; Zhou, S; Fu, J; Zhang, J (2009). "Biodegradation of phenolic compounds from coking wastewater by immobilized white rot fungus Phanerochaete chrysosporium". Journal of Hazardous Materials. 165 (1–3): 1091–97. doi:10.1016/j.jhazmat.2008.10.091. PMID 19062164. Wikimedia Commons has media related to Coke (fuel) .